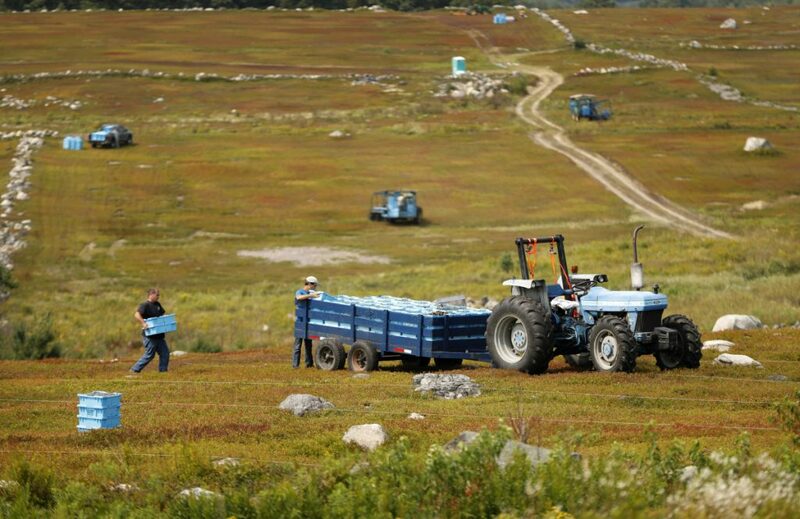 Blueberry farmers are dealing with a long-term price drop, drought, freezes, diseases and foreign competition. In this Friday, Aug. 24, 2018, photo, a worker pours wild blueberries into a tray at a farm in Union, Maine. 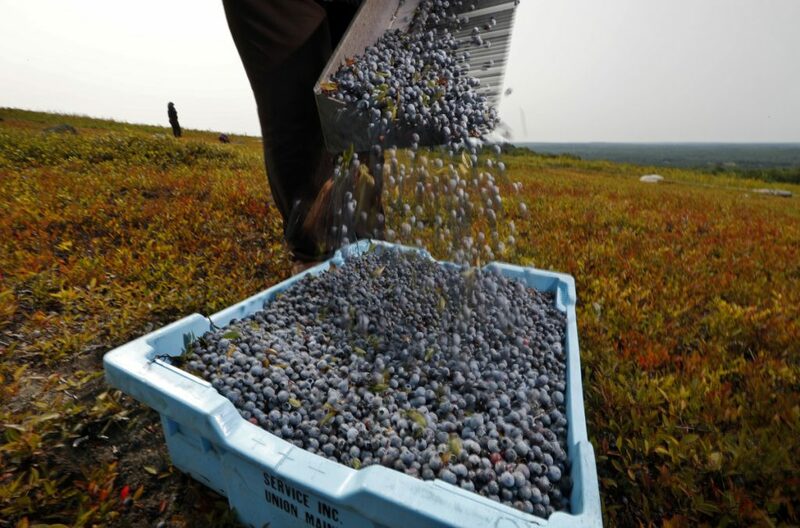 The state’s wild blueberry industry harvests one of the most beloved fruit crops in New England, but it’s locked in a downward skid in a time when other nutrition-packed foods, from acai to quinoa, dominate the conversation about how to eat.